Nike releases Hyperforce Sunglasses with Baseball All-Stars Mike Trout and George Springer. Ahead of this year’s baseball All-star game, Nike Vision (Nike’s line of performance, lifestyle and optical eyewear) announced earlier this month the release of the Hyperforce Sunglasses designed for baseball and overall training. 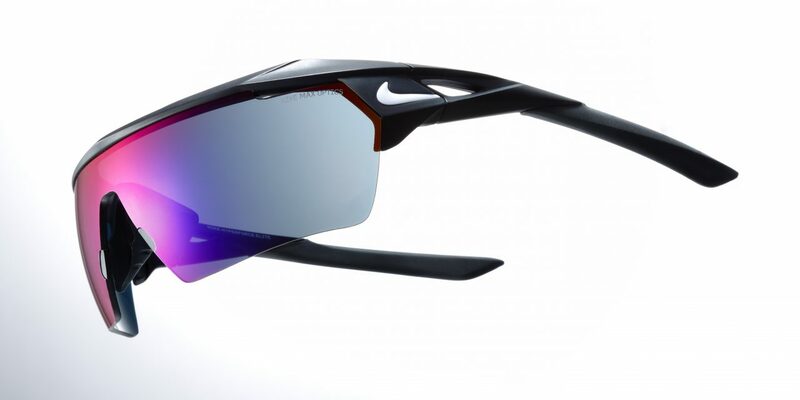 Nike Vision introduces cutting edge Hyperforce Sunglasses designed for baseball and training. Click to view. Developed with direct insights from All-Stars Mike Trout (former MVP) and George Springer, as well as other top Nike athletes, the Hyperforce and Hyperforce Elite feature stability and cutting-edge lens technology. Nike Vision collaborated with optics industry leader Zeiss to develop the new Nike Field Tint – a high-performance green-based tint that enhances the ability to track and intercept objects in bright and shifting light. Last year, after being challenge by Nike to challenge the status quo of the performance eyewear industry, Nike Vision released several ground-breaking collections that raise the standard of sports eyewear across several categories including; Running, Lifestyle, Men’s and Women’s Training, Skateboarding and more. The Nike Hyperforce and Hyperforce Elite are exclusively available now for purchase at Nike.com. The collection will be released globally in September. For more information on the full line of Nike Vision products, visit nikevision.com and follow @NikeVision on Facebook, Instagram and Twitter.